Rubber Room Ramblings: PRETTY POSTAGE FOR MOTHER'S DAY! PRETTY POSTAGE FOR MOTHER'S DAY! Mother's Day is almost here, and here is a quick and easy card to celebrate any mom on her special day! 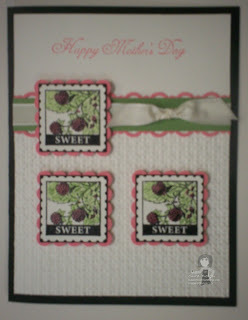 For this card I used the Pretty Postage stamp set, which is currently available in the Stampin' Up! Summer Mini Catalog. AND guess what??? Can't guess??? Okay, I'll spill the beans. 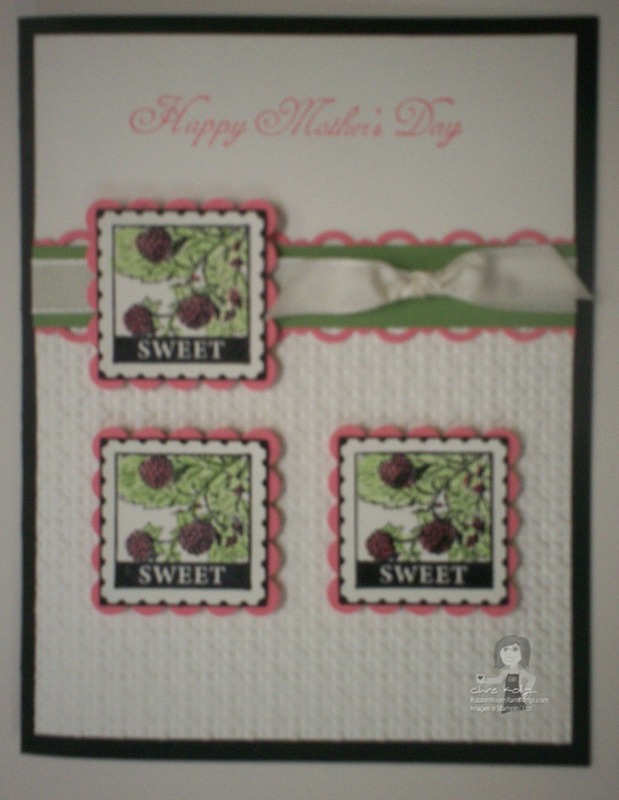 There is a punch that matches this stamp set, and it layers onto our Stampin' Up! square punches for quick and easy layering. ORDER YOUR PUNCHES AND STAMP SET HERE! I AM HAVING WIRELESS/INTERNET DIFFICULTIES! C IS FOR CAT NOTE CARD! STAMPIN' UP! BLOSSOM BOQUET TRIPLE LAYER PUNCH! DRY EMBOSS PARTIAL AREAS OF YOUR CARD STOCK! THANK GOODNESS FOR MY GURU!! THE OPEN SEA FOR FATHER'S DAY! HELP FIND A CURE FOR BREAST CANCER!